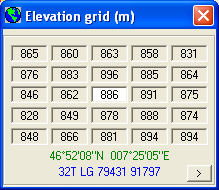 This function changes the displayed coordinate system in both elevation grid and unit properties. In the status bar it is selected which type of coordinate is displayed in the Status Bar. 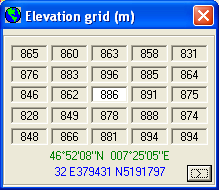 Using Geosys a alternative projection can be configured for MGRS. Here the layout of the 'Status Bar' of the main window of Radio Mobile can be configured. The information that will be displayed in the 'Status Bar' can be enabled or disabled by the check-box.